A few Late Summer Readzzz…. Part 1. Straight after the SunRa100 at the House of St Barnabas I managed to vacate London for a much needed break and as I’m not quite psyched into owning an e-reader I predictably dragged along a case of stuffed with post birthday books. 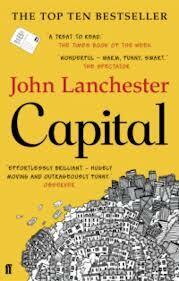 On a very different tip, two books about contemporary London – John Lanchester’s ‘Capital’ and Bernadine Evaristo’s ‘Mr Loverman’. Firstly, Capital, this chunky tome homes in on south London street, somewhere around the Oval, which is subject to gentrification. Over a year or so, Lanchester gradually links together the lives of a dopy egregious banker and his wife, a Polish builder, a Zimbabwean parking attendant, a Hoxton based conceptual artist, and the Pakistani family in the corner shop – amongst others. Basically, it’s cleverly plotted but despite Lanchester’s attempts to create to create some form of tension via an Islamist connection and the mysterious anonymous messages/videos that drop through people’s doors demanding ‘We want what’s yours’. Basically, it’s a bit of a soap and the characters pretty vacuous and stereotypical. There’s no grit, no grime, no tension and no magic and that’s not the capital city I live in. It may be a best-seller but essentially it’s one to pass on. ‘Mr Loverman’ is also based in the capital and was indeed a pleasant surprise. The title comes from a Shabba Ranks classic and it’s a story based in the manor, my manor, Stoke Newington, where I’ve lived on and off since the mid Seventies. 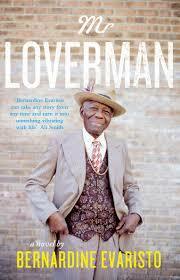 The hero of this tale is Barrington Jedidiah Walker, an astute, sartorially snappy dresser of St Lucian origin. Now retired after many years working in the Ford car plant, he enjoys a glass of rum and the company of his best mate from boyhood, Barrington. He’s raised two daughters and his wife, Carmel, has retreated into the church, weary and suspicious of his wandering ways. This is Bernadine Evaristo’s sixth novel and she warmly introduces us into Barrington’s world – one which at times reminds me of my late, long time, next door neighbour. While giving the world a taste how London’s West Indian community has survived and thrived she quietly she tackles some deep rooted myths and prejudices which provide an ambitious and surprising twist to down right life affirming story. 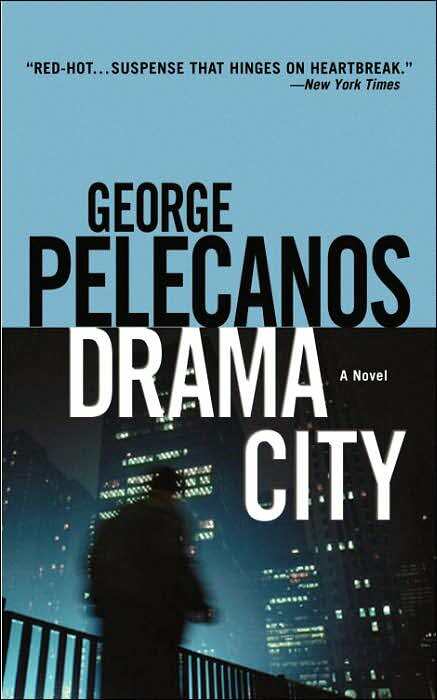 This entry was posted in Deep stuff and tagged Bernadine Evaristo, Books, Capital, Drama City, Geoerge Pelecanos, John Lanchester, Mr Loverman, Stoke Newington, Summer reads, Thrillers, Washington DC. Bookmark the permalink.